One, Two, Three, Four or Five? Candy Birthday Outfit. Two piece set includes top and skirt. 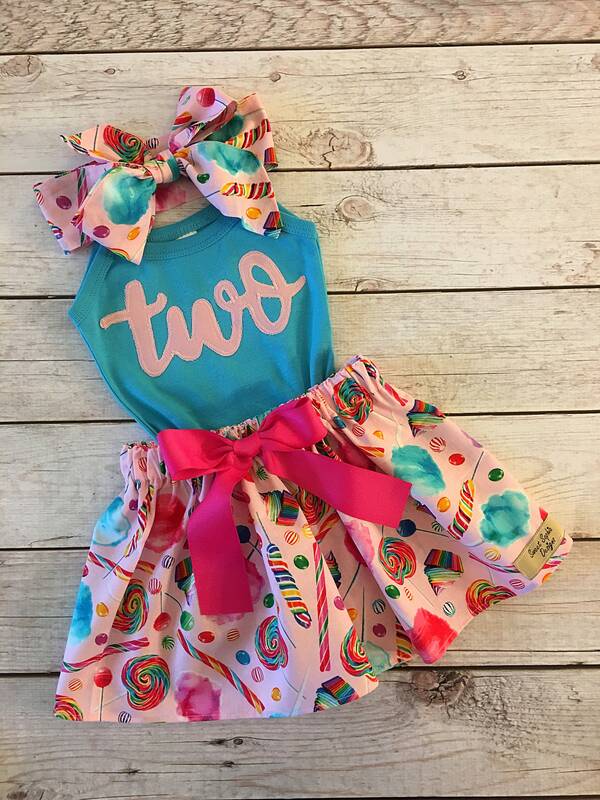 bought this for my daughter’s 2nd bday , it’s going to match perfect ! !